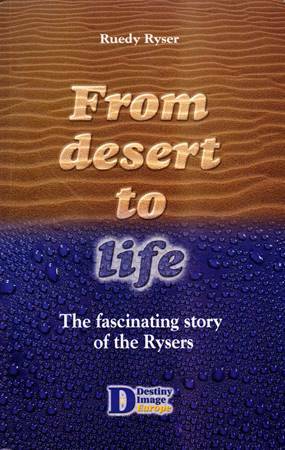 From Desert to Life is the fascinating story of an ordinary man, Ruedy Ryser, and his family, told directly by the main people involved, during the interview made by a friend, the writer Urs-Heinz Naegeli. History, and the Bible itself, are full of people like the characters of this book, who have lived a life which was worthy to be lived. The value of life is not determined by its duration, but by the impact it has in others. Nobody would ever dream to apply principles and life-style if they have not worked in those who teach them. 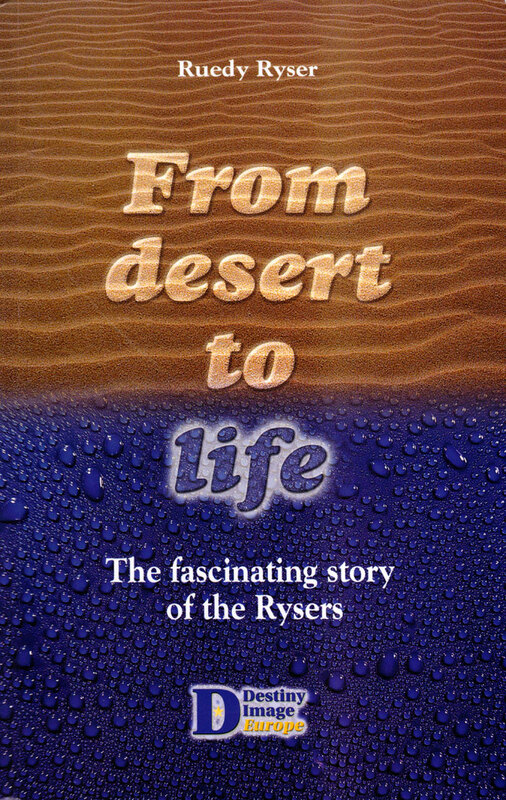 Those who have been in contact with the Rysers, can witness that their life-style works! Ruedy Ryser, è un evangelista, insegnante della Parola e fondatore della "Ruedy Ryser In ]esus Christus Ministries". La sua predicazione, fondata su una fede assoluta nel Signore, è accompagnata da miracoli e guarigioni. Egli vive in Svizzera assieme a sua moglie Ruth ed ai figli Andreas e Colleen.